I've enjoyed having the opportunity to do a number of portraits recently for the Sunday Book Review. The art director, Nicholas Blechman, is a pleasure to work with. He's that rare breed of AD that "gets" what you do and allows you the freedom to do it. your work for this section really brightens the section. Nofussalas Blechman really has reinvigorated this section. Great job by both of you. Another beauty Joe. Caught those flaming lips. You're right about Nicholas with whom it's always a pleasure to work. In the tradition of Steve and Patrick. The beat goes on. Joe always great portraits, your line is unmistakable. Wonderful drawing, Joe. I like the how the eyes don't follow you around the room. 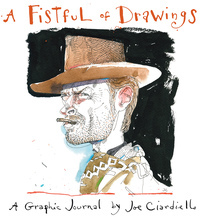 Such a great drawing Joe. Your line really is so unique. The little dots that form lines, the solid jacket, perfect. I saw this this morning and just sat with it a while. My wife thinks I actually read the review! Ha! Not when there's art this good to look at. Keep posting! Thanks everyone, I appreciate the kind words. Love it! Especially how his eyes kind of goggle off in different directions. Typical Ciardiello work: consistent, beautiful, economical. Love seeing your stuff in the Book Review Joe. Excellent, Joe! And, good to see you on Drawger again! Don't be such a stranger! You add a lot to the mix! Great to see you posting again! Really nice piece, Joe. You captured Greenspan's undulating movement when he speaks. Your portraits are a great choice for the Book Review. I'll agree with J.D. and Mike; it's fine to see you here! 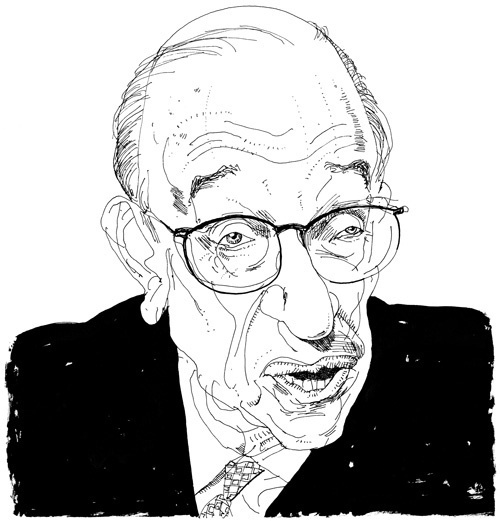 Greenspan's lips are moving... I swear. Keep posting, Joe..! I don't always get the paper, so will miss these gems otherwise. Amazing drawing Joe. My favorite part is that incredibly confident line delineating the top if his head. You go girl! Thanks all. I'll try to post more if I can think of anything to say. Just let your drawings do the talking! Nick has done a great job, I thought Illo was dead at the Book Review for a while (back) and no, it's not.... It's alive,,,,,It's alive!! Joe, real nice, He looks like his face is undulating all over the place.